Each year, approximately 100,000 people move to Minnesota from another state. If you are planning on joining this group, there’s no question that you have a lot to do. The place to start is with your moving checklist. While the packing and moving process can be long and tedious, once you have arrived, it’s time to relax and have some fun. Searching for things to do in Minneapolis? Then you’re in the right place. Make the most of your move by enjoying the fun things to do in Minneapolis, listed here. Do you love to shop? Even if you aren’t a huge fan, you are bound to find something to do during a visit to the Mall of America. Mall of America is a top spot in the US and is known around the world for its outstanding retail and entertainment attractions. Not only is this mall full of stores – and continually expanding – it’s also a theme park. If you love history, then a visit to the 19th-century railroad bridge is a must. The Stone Arch Bridge is now only used by cyclists and pedestrians and spans the Mississippi River between the Mill District and St. Anthony Main. This is an exceptional place to capture amazing photos, and it’s a great place to take in a morning jog. Also, as a new resident of Minneapolis, make sure to attend the Stone Arch Festival, which is a three-day music and art event that is held in the latter part of June. Here you will find a maze of climate-controlled elevated walkways that can get you from one side of the downtown area to the next. The Skyway System is the longest continuous system in the world connecting numerous buildings in 80 city blocks over 11 miles of downtown Minneapolis. Even if you get a bit turned around, there will be veteran Skyway System users nearby to point you in the right direction. If you are taking a job in the downtown area, you will find there are quite a few great places to eat downtown, or grab a coffee, without having to venture into the cold. If you are moving from one of the southern states, then you are definitely going to love this activity. When the temperature falls below freezing, several parks in the area flood their baseball fields, making for lots of cold and slippery fun. While you can visit one of the more popular spots, such as Lake of the Isles, there are also smaller rinks all around. This is an activity you’ll want to experience again and again. Did you know that Minneapolis is the third largest theater market in the entire country? This city is home to well-known venues, such as Ordway and Guthrie, as well as smaller venues, including Mixed Blood and Southern. There are always performances and festivals going on and something for all ages. If you are moving to the Minneapolis area, find some amazing things to do. By finding fun things to do, you can explore your new home and learn more about the area. If you need more help with the moving process, our professional movers are here to assist. 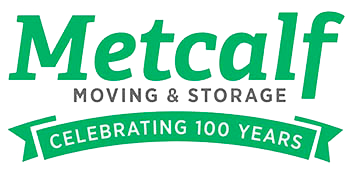 At Metcalf Moving & Storage, we can handle any long or short-distance move.